BOSTON, MA -- The Eastern Hockey League (EHL) is pleased to announce the dates and locations for the 2018-19 Showcase Series. 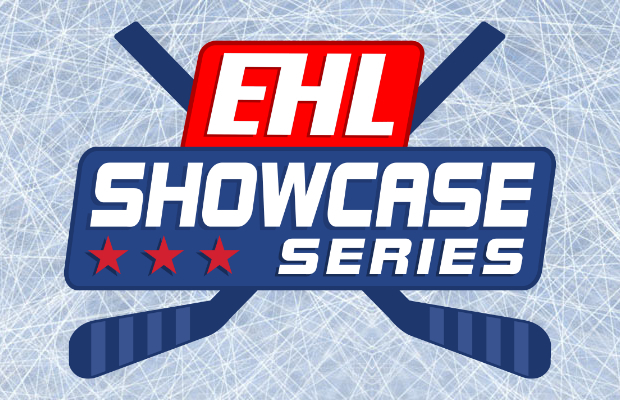 This year's version of the EHL Showcase Series will feature four league-wide events, each month from end of September to the middle of January. All four EHL Showcases will be two days long, and will consist of 20 total games (10 per day). Coinciding with the EHL Showcase in Haverhill, the Eastern Hockey League Premier (EHLP) will also hit the ice on November 11th and 12th, just nine miles up at the road at the Lawrence Valley Forum (Lawrence, MA). Outside of the November showcase weekend, the EHLP will have their own feature events on both Columbus Day Weekend (October 6th through 8th - IceWorks Skating Complex) and Martin Luther King Weekend (January 19th through 21st - The Revolution Ice Gardens). Be sure to keep tabs on both the EHL (EasternHockeyLeague.org) and the EHLP (EHLpremier.org) websites, as the full schedules for the upcoming 2018-19 regular season will be released soon.